Dr. Haiavy trained intensively with a former President of the American Academy of Cosmetic Surgery as well as innovators in the field of cosmetic surgery, and has performed well over 2000 cosmetic surgery procedures. Practicing at Inland Cosmetic Surgery in Rancho Cucamonga, Dr. Haiavy specializes in breast, facial and body procedures and uses the most advanced endoscopic and minimally invasive techniques that use optical telescopes with video imaging, in order to allow for smaller incisions, no visible scarring and more rapid healing. "The greatest trait I sensed in you is your humility and your genuine love for individuals." As a cosmetic surgeon and President of the American Board of Cosmetic Surgery, Dr. Haiavy performs all procedures in a safe, state-of-the-art JCAHO accredited on-site outpatient surgery center. Dr. Haiavy and his knowledgeable staff are dedicated to providing their patients with the highest standard of care coupled with personal attention and privacy in a comfortable and safe environment. To complement our facial surgical procedures, we offer a free consultation with our in-house aesthetician for a variety of skin treatments, peels and permanent makeup. 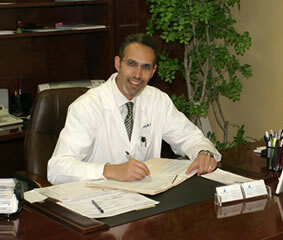 Dr. Haiavy offers a professional and personal consultation to discuss how he can help you look and feel your best. The American Academy of Cosmetic Surgery is the nation's largest interdisciplinary medical organization that is exclusively devoted to cosmetic surgery. Its members are dedicated to advancing the art and science of cosmetic surgery and the highest standards of patient welfare and surgical excellence. Dr. Jacob Haiavy has authored a number of articles related to facial rejuvenation including facelift, lip augmentation and other areas such as breast augmentation. He has published articles in the American Journal of Cosmetic Surgery as well as the Journal of Plastic and Reconstructive Surgery. Interested in cosmetic surgery and facial reconstruction, he continued his specialty training in maxillofacial surgery with heavy emphasis on cancer reconstruction and cosmetic surgery. Following his residency, Dr. Haiavy gained acceptance to a general cosmetic surgery fellowship in Texas with Howard Tobin, M.D., former president of the American Academy of Cosmetic Surgery. After completion of the fellowship he moved to Southern California and has been practicing in Rancho Cucamonga and Beverly Hills.